Have you ever thought of using a brochure for marketing purposes? Whether you have a large business or a very small business a brochure is an instrumental way to expose your brand. Brochures complement business cards by providing more details for perspective clients. If you sell things, a brochure is also a great way to feature select products. Quite simply you control what goes into your brochure. This is a perfect opportunity to really market your brand and showcase all you have to offer. 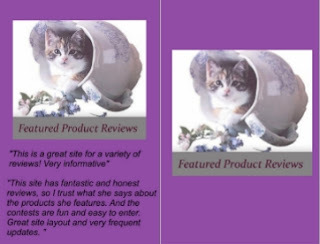 One thing that you can include in your brochure is positive feedback, this will naturally draw the attention your brand as well as give evidence of your positive reputation. Brochures give your business a professional edge and as a result will most likely be taken more seriously. Have you ever thought of using a brochure for an event? Brochures are also useful for promoting professional and non-professional events. I spent a few minutes creating a brochure. 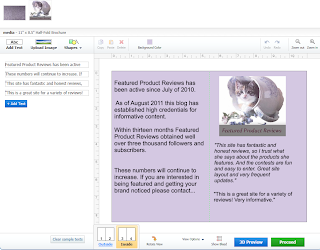 I used UPrinting; online printing, Easy Design Tool to create a brochure for my blog. 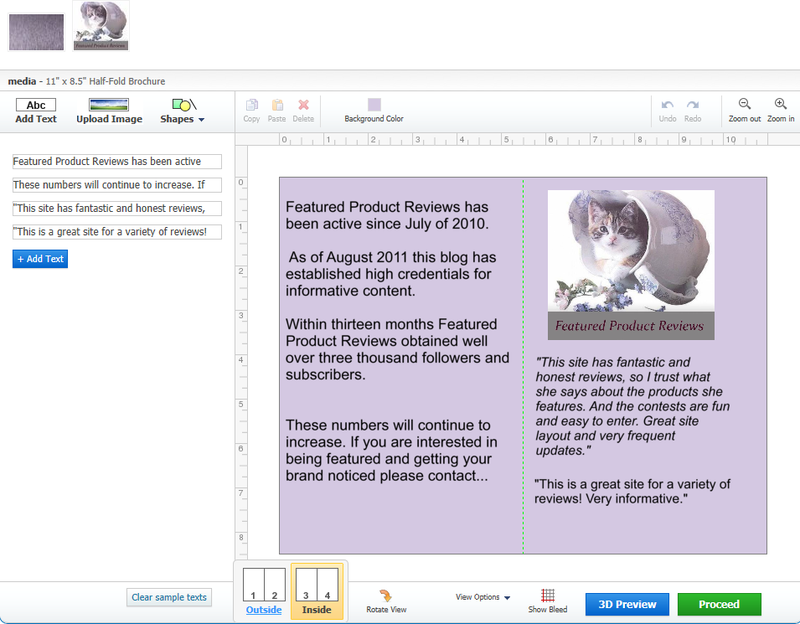 I used the Design tool, however, UPrinting offers free downloads on brochure templates. Thus you have plenty of design options. My creation was just an unprofessional attempt, I'm sure y'all could do a much better job. Without a doubt print brochures are an asset to any business, a really effective marketing tool that can wet a perspective clients appetite for all you have to offer as well as promote events. I'm sure y'all could think of some other uses for brochures. UPrintig offers 24 hour support, so if you get stumped during your creative process there's always someone there to help out. You can find UPrinting on Facebook. 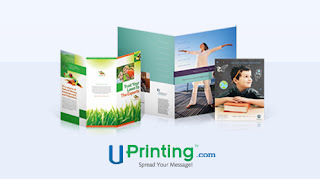 Visit UPrinting.com for more information about brochures and available brochure templates. I would really like to win these for an organization that I belong too. Hi! What a great way to get your business out there! These would be very valuable for my business! I absolutely love u-printing! I would love to order some brochures about my wedding invitation design business. I have so many reasons I need this, so happy you chose this giveaway! This would be great for my home business and spreading the word! These would come in handy for my business. The tweet is too long so I had to shorten it, I hope thats ok, left the most important stuff in. These would be awesome for my business and all of the upcoming Christmas shows and such! Brochures is best way to promote your business. 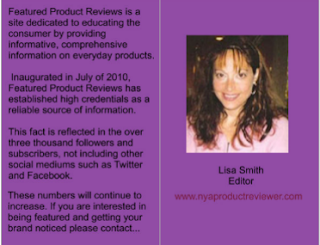 on brochures you can add all info about your company/product details for perspective clients. it is best way to promote your products and business without your social skills. and it make your business as a professional edge.